Are You Trying To Be A Superwomen? 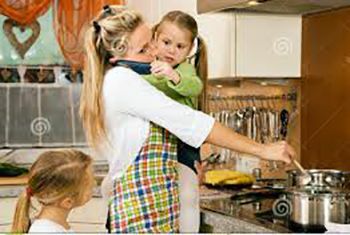 Usually, mothers fall more easily into this category… We are trying to be a great mum, a great wife, keep the household clean and in order, cook great meals, whilst working and building our own careers and/or supporting and working for our husbands. It all is too much and often comparison starts to happen (especially in the context of our friends). We wonder, could I be doing more? Should I be doing less? Am I good enough? Your Facebook and Instagram newsfeed and articles you come across make you question yourself and your life. “Are my children and I eating healthy enough? Do I need to exercise more? Should I work longer hours and make better money? Should I be meditating each day? Does my house needs renovating? I think I need a new car? Maybe I should move City? Career change?” It all just becomes one big comparison to what someone else has got! Social Media enables people to make it all look so easy, we are capturing and filtering the best moments. I personally think it would be good if everyone would just be more transparent. Remember, we are all on different journeys we have different callings to fulfil and different passions for that matter! Let go of the striving. Know that if there is vision and a goal in place you are working towards, then whatever you are doing right now to get there is actually OK. Be it a stay at home mum, a highly functioning business owner, a Uni student or a young adult working a job you dislike to save money for something greater. Give whatever you are doing full devotion so you can do it well and have a sense of purpose. Remember, everything is only temporary. Know that you are a fantastic human being and have been created well, even though you may have a few flaws, it's OK.
On another note, I think it's really important we all deal with the ‘tough stuff’ within ourselves and in life. Doing so will of corse not be pleasant to go through, but will be worth it once you get to the other side and can see your growth and progress. I think it's OK to talk about how hard life sometimes is rather than come across that everything is great. This way we can feel more at ease knowing we are not alone. However, do not go into having a self-pity party… but there is a real power in encouragement, support and love. Also, I want to add that other people do not always know what is best for you. I’m not saying you shouldn't ever turn to a leader/Coach or mentor (as that is needed to get/keep you on the right track), but at the end of the day, it is your life and your call. Remember It's OK to fail. The more you practice making your own decisions, the stronger and clearer your intuition will become. The more you learn to hear your intuition and know you can trust yourself, the less anxiety you will have. Learn to be your own friend.